Alan Stivell (*6 January 1944, Riom, Auvergne, France). 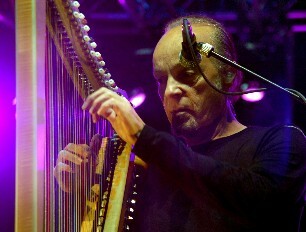 The singer and harpist (born Alain Cochevelou) revived global interest in the Celtic harp since the early 1970s. Alan began playing the instrument at the age of nine. He also learned Celtic mythology and history as well as the Breton language, traditional dance and the bombarde. He became closely associated with the Breton roots revival, especially after the release of the double LP "Renaissance of the Celtic Harp" (1971). In 1972 he performed a concert in the Olympia theatre in Paris, combining traditional Breton music with modern sounds. This made him popular throughout France. His stage name means fountain in Breton, refering both to the Breton revivaland to his surname Cochevelou, an evolution of kozh stivelloù, the old fountains. "1968 – Live at the Fillmore"
Robin Williamson (*24 November 1943, Edinburgh, Scotland). The Scottish multi-instrumentalist first made his name as a founding member of The Incredible String Band. At first Robin Williamson performed in jazz bands, before turning to traditional music as a singer and guitarist. In the early 1960s he shared a flat with Bert Jansch, and in 1963 they travelled together to London to play the folk circuit. By 1965 Robin Williamson had returned to Edinburgh and formed a trio with Clive Palmer and Mike Heron. As resident band at Clive’s Incredible Folk Club in Glasgow, they called themselves the Incredible String Band. Between 1966 and 1974 they released some 13 albums with psychedelic folk music and built a considerable following within the British counterculture. After the ISB split up, Williamson started to tour solo blending traditional music and story-telling. His live album with John Renbourn, "Wheel Of Fortune" (1995), had been nominated for a Grammy. 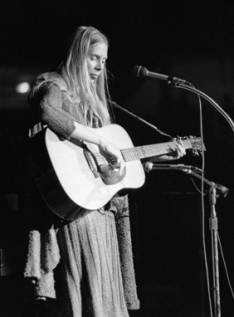 "Will You Take Me As I Am"
Joni Mitchell (*5 November 1943, Fort Macleod, Alberta, Canada). The Canadian singer/songwriter began singing in small nightclubs and busking in the streets. In 1965 she moved to the US and, touring constantly, began to be recognized when her original songs ("Chelsea Morning", "Both Sides Now") were covered by notable folk singers. Popular songs like "Big Yellow Taxi" and "Woodstock" helped define an era. Her wide-ranging vocals and distinctive open-tuned guitar and piano compositions grew more harmonically and rhythmically complex as she explored jazz, melding it with influences of rock and roll, classical music and non-western beats. Paco de Lucía was the one who was acknowledged as the greatest Flamenco guitarist of the lot. Gosh. To think that the Low Countries of the Flemish people (Flanders) – in the days that they came under the throne of Spain - once had Spanish (Andalusian) gypsy people playing this kind of music! So much so that they named the music after the Flemings. Flamenco! BLISTERINGLY good. Pete Seeger has died. He was well into his tenth decade, but when I learned that his beloved wife Toshi had died last summer, I immediately had the sinking realisation that he would not make his century. I will start here with an incredibly moving rendition of "Dink's Song" at Pete's 90th birthday concert at Madison Square Gardens. I recalled "Bring 'em Home" first time round, written in 1965, when the Vietnam War had become more than a skirmish, and was by now fairly intensive. It initially got little-to-zero air plays: it took another three years for CBS to lift their ban on him in America. And a few years back, with two new wars raging, he cut a new version with Ani DiFranco, Steve Earle and Billy Bragg. That did not get played much on mainstream radio stations either. But gosh, it is as powerful as ever. The folk musician Derek Smith has died in tragic circumstances at 65 years of age. His body was found at the bottom of 100 ft cliffs near his home in Dorset, just a couple of weeks before Christmas. From all accounts by those who knew him, he was a lovely chap. However, one does not have to have the gift of 20/20 hindsight to look at this clip from 26 years ago, and know in one's bones that it might all end unhappily. Paco de Lucía (1947-2014). Spain has lost one of the top artists of all times on 26th February. He was probably the greatest flamenco guitarist in the last centuries. His contribution to the modern era of flamenco and his pioneering fusions with jazz, Latin or classical music have been fundamental pieces to understand the evolution of this style of traditional Spanish music in the 20th and 21st century. Some of the always remembered phases in Paco de Lucías’s long and fruitful career were the work done with the flamenco singer Camarón de la Isla, and the performances and recordings in the guitar trio with John McLaughlin and Larry Coryell, later joined by other artists such as Al Di Meola or Chick Korea. 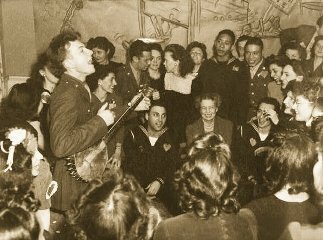 Pete Seeger (1919-2014). One of the main voices behind the American folk movement of the 1950s and 1960s died on January 27 at the age of 94. Known for his social activism as much as his singing, Seeger went from being banned on TV to playing at Barack Obama’s inauguration concert. A fixture on radio in the 1940s, he had a string of hit records during the early 1950s as a member of the Weavers. In the 1960s, he re-emerged as a prominent singer of protest music in support of civil rights and environmental causes. A prolific songwriter, his best-known songs include "Where Have All the Flowers Gone", "If I Had a Hammer" and "Turn! Turn! Turn!". Philip Chevron (1957-2013). The Irish singer-songwriter and guitarist Philip Ryan, known as Philip Chevron, was best known as a member of The Pogues. Chevron grew up in Santry, a suburb of Dublin. In the late 1970s, he was lead singer and co-founder of the punk rock group The Radiators from Space. Following a breakup in 1981, he lived in London, befriending Shane MacGowan. He was invited to join The Pogues as cover for banjo player Jem Finer's paternity leave. He became a full-time member and took over as guitarist following MacGowan's decision to concentrate on singing. Chevron proved himself as a singer-songwriter, writing "Thousands Are Sailing" among others for The Pogues, and "Faithful Departed" covered by Christy Moore. He died on 8 October 2013 in Dublin from throat cancer. 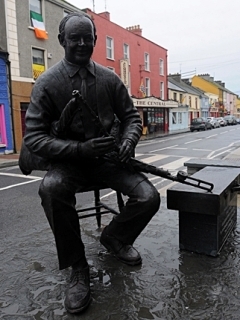 A statue of uilleann piper Willie Clancy, after whom the internationally renowned annual Summer School was named, has been unveiled on the Main Street in Miltown Malbay by Liam O’Flynn, a former pupil of Willie Clancy. The statue has been donated to the people of Clare by Judith and Barry Merrill, an American couple who spend much of the year in the Miltown Malbay area drawn to the area by a love of traditional music. Born into a musical family at Islandbawn near Miltown Malbay, Willie Clancy recorded his influential recordings for the Gael Linn label. The Willie Clancy Summer School was established in his honour following his death in 1973. Topic Records is the oldest independent record label in the world. 2014 will see them celebrate their 75th anniversary. Topic Records have a number of new album releases, a vinyl reissue and several special events planned. Throughout 2014 they will be making monthly special offers from their website. Each month they continue to publish digital booklets for Topic albums. There are now over 250 new digital booklets available for free download. Longstanding traditional music magazine celebrates its 100th issue in February 2014 and looks back over 20 years of promoting the best of traditional folk music. Over 20 years later, The Living Tradition is still going strong. The Living Tradition has stayed true to its stated aim; to provide news, reviews and information from the world of traditional music. If you are interested, the team at Living Tradition are happy to send you a sample copy. Simply drop them an email at admin@livingtradition.co.uk and give them your details! WOMEX is proud to announce the winner of the WOMEX 13 Artist Award: Los Van Van from Cuba! Formed in 1969 by bassist and composer Juan Formell, Los Van Van has remained Cuba's most important and popular dance orchestra for over four decades. Formell's visionary approach to instrumentation brought new sounds and concepts into Cuban dance music, blending charanga-style violins and flute with a trombone section, adding drums and introducing electric guitar, bass and keyboards. Fusing influences from contemporary rock and jazz with Afro-Cuban roots, Formell and timbales-player Changuito created a new rhythm they named 'songo', which gave birth to a whole genre. Hearth Music (www.hearthmusic.com) is pleased to announce the release of the first issue of their new digital roots music magazine, KITHFOLK. This is a full magazine designed to be read online or on your iPad/tablet. KITHFOLK features interviews, articles, reviews, audio and video. 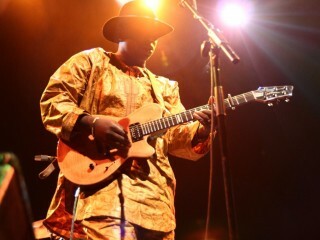 Issue Highlights: Exclusive interviews with Malian guitarist Vieux Farka Touré, Smithsonian Folkways artist Elizabeth Mitchell, New Orleans roots activists Rising Appalachia and anarcho-folk legends Blackbird Raum. Lots of album reviews and streamable audio. Video premiere from Jon Pontrello of the Moondoggies, and an audio premiere of one of the world's rarest 78rpm recordings. Northwest-based content like stories of logging camps in the 1970s and a poem/story from Northwest Native American culture. Beautiful original graphic design throughout. KITHFOLK is a quarterly magazine, so expect Issue #2 sometime in May 2014. ArtistWorks (www.ArtistWorks.com), the interactive lifestyle social learning platform, announced the upcoming launch of their new Acoustic Guitar 101 School. Available since December 2013, Acoustic Guitar 101 represents a comprehensive free guitar lesson resource. Anyone who wants to learn to play the guitar can access this easy-to-follow, step-by-step program that offers scores of high-definition video lessons that walk the aspiring guitar player through the fundamentals of guitar, including chords, picking, strumming, playing songs, singing while playing, and much more. Taught by Scott Law, Acoustic Guitar 101 offers free any time, anywhere access from any Internet-capable device. Acoustic Guitar 101’s thoughtfully constructed series of 87 self-paced lessons lead them through a series of sequential exercises designed to get them playing real songs quickly and help them to enjoy the learning process. The school also provides complimentary practice charts, looping functionality, a metronome and more. 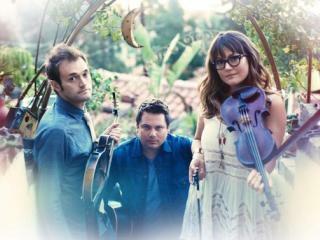 Nickel Creek announced that they have reunited to make a new LP and to perform live shows together starting with a short US tour in April. The bluegrass trio, that had been together since 1994, called a quits back in 2007. During the seven-year hiatus, all three members pursued other musical avenues, which included mandolinist Chris Thile founding the bluegrass quintet The Punch Brothers, fiddler Sara Watkins taking on a solo album and guitarist Sean Watkins collaborating with Switchfoot’s Jon Foreman to create the band Fiction Family. We received some very good news about an initiative coming from some of the veteran musicians of Madrid’s folk scene. Back in 2010, FolkWorld published an article where we introduced some of Madrid’s key folk musicians in the 1980s & 90s, such as José Climent and the band La MUSGAÑA. 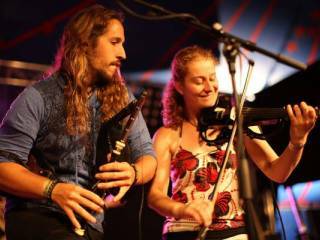 It is now in 2014, that we get news from José Climent telling us that, together with today’s duo La Musgaña (Jaime Muñoz & Carlos Beceiro), they are planning to launch folk music sessions in Madrid. They are targeting to start around March, playing every Saturday night in a pub located in Aravaca (just 15 minutes from Madrid’s city center). These are fantastic news considering the terrible events that Madrid’s folk music community suffered back in 2013, starting in January with the closing of the pub TABERNA ELISA, and then the train crash in July, where Santiago “Santy” BARRAL (Elisa’s pub manager) died just arriving to Galicia. Not to forget the closing of the paper magazine INTERFOLK in December. La MUSGAÑA and a few other experienced musicians from Madrid will have a first concert + folk music session, in March 15th 2014 at 9:00pm. This will take place in the pub EL OTRO, inside the shopping area Centro Commercial Rosa LUXEMBURGO ARAVACA in Madrid. This place is in the crossing of the streets Bardegueral and Rosa Luxemburgo in Aravaca (Madrid). Acaba de terminar Enero y en este momento nos llegan muy buenas noticias, sobre una iniciativa que ponen en marcha algunos músicos veteranos de la escena folk madrileña. En el año 2010, FolkWorld ya dedicó un artículo a recordarnos los músicos que relanzaron la música folk en Madrid, allá por los años 80 y 90. Estamos hablando por ejemplo de José Climent y la banda La MUSGAÑA. Es ahora en 2014 que José Climent nos anuncia que junto con los dos actuales miembros del duo ‘Musgaño’ (Jaime Muñoz y Carlos Beceiro), están planeando el poner en marcha sesiones de música folk en Madrid. 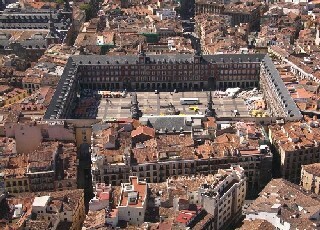 Su objetivo es empezar en Marzo, y será en un bar situado en el barrio de Aravaca (a apenas 15 minutos de la Puerta del Sol). Una noticia fantástica teniendo en cuenta los desastrosos sucesos que la comunidad de aficionados al folk sufrimos en el pasado 2013, empezando con el cierre de TABERNA ELISA en Enero, y más tarde en Julio con el trágico fallecimiento de Santy Barral (músico y encargado de “La Elisa”) en el accidente de tren que se produjo en Angrois, justo antes de su llegada a la capital gallega. Sin olvidarnos del cierre de la revista INTERFOLK en Diciembre. Tal como veníamos anunciando, el grupo La MUSGAÑA y otros experimentados músicos del folk madrileño (José Climent, Javier Chacón,…) celebraran un primer concierto + sesión folk el día 15 de Marzo 2014, a las 21:00, en el bar EL OTRO, situado en el Centro Comercial de la urbanización Rosa LUXEMBURGO de ARAVACA, Madrid, en el cruce de las calles Bardegueral y Rosa Luxemburgo. Zona de fácil aparcamiento en fines de semana, y con paradas de autobús en la calle próxima de Arroyo de Pozuelo. Los autobuses salen del intercambiador de Moncloa (líneas 160, 658,…). Throughout those five decades the folk club has been run entirely by unpaid volunteers - arranging venues, booking and paying guest performers, providing accommodation for visiting performers, producing and distributing programmes of events (for audiences, newspapers, magazines and local radio), collecting admission charges and selling tickets, banking and accounting for club funds, singing and playing for free (and persuading other support acts to do likewise), organising and presenting each evening's performances. Three particular individuals have served as regular Folk Club organisers during most of Colchester Folk Club's existence. As part of the celebrations of Colchester Folk Club's 50th Anniversary, they would like to make token awards to those exceptional volunteers. It is hoped to make these awards at the 50th Anniversary gig on March 31st, when the Churchfitters will be guests.